In order to fully understand the brief and provide a fee quote for a project it is usually essential that we visit the property or site and meet with potential clients. 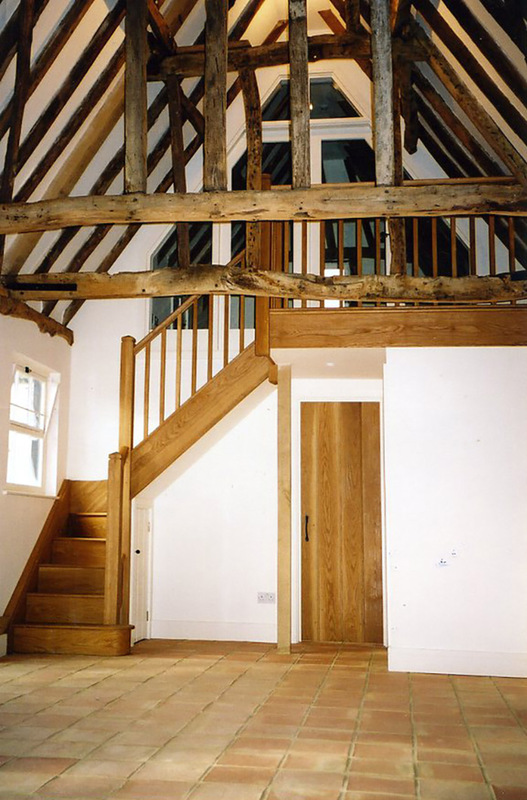 The initial visit allows us to discuss the brief, understand what kind of solutions may be appropriate (building type, setting, materials, client preferences etc…), consider any planning issues/constraints that may be apparent, look briefly at options and ideas that may be possible as well as familiarising ourselves with a building or site. It is important to begin to establish a clear brief at this stage as changes made to it later can increase the design costs. It is also important for the client to provide an idea of the available budget for a project as this clearly influences what can be achieved. The initial visit carries no obligations and is normally free of charge unless the visit relates to a building or site that you were looking to buy and the sale subsequently falls through, or if an initial visit involves preparatory or follow up work to establish whether a project is viable. Following an initial visit we will write to set out our terms of engagement outlining the brief, our services and our fees. A written or emailed response agreeing to the appointment will be required for us to proceed with the project. The letter of appointment will also identify as far as possible the services of other consultants that may be required for the project. This can include, but is not limited to, building surveyors, structural engineers, party wall surveyors, CDM co-ordinators, quantity surveyors, drainage engineers, ecology consultants, contamination specialists, archaeologists, site investigation consultants, plumbing and heating consultants, energy assessors and lighting consultants. In order to produce design proposals it is necessary to prepare drawings that show a building or site as it currently exists. We undertake a lot of measured building surveys ourselves as we find the process of physically measuring a building helps us to familiarise ourselves with the building layout and its characteristics. However, increasingly we are advising that clients engage the services of specialist measured building surveyor to produce the survey drawings, particularly for larger properties and those with more complex, non-parallel elements. Using the survey drawings and the established brief we explore possible design solutions. This process varies greatly depending on the complexity of the project but after initial sketches are prepared we meet with our client and explain the proposals in detail. When a project is sensitive or a property is listed or in a conservation area it may also be advisable to submit a pre-application enquiry to the local authority at this stage. Some local authorities charge for these applications but they allow discussions to take place with a planning officer or conservation officer (often on site) in order to establish whether the proposals will be acceptable in principle. Design proposals are then refined and adapted to reach a stage at which drawings can be finalised ready for submitting planning and listed building applications as required. In some instances planning approval may not be necessary if extension proposals fall within the parameters of permitted development rights. 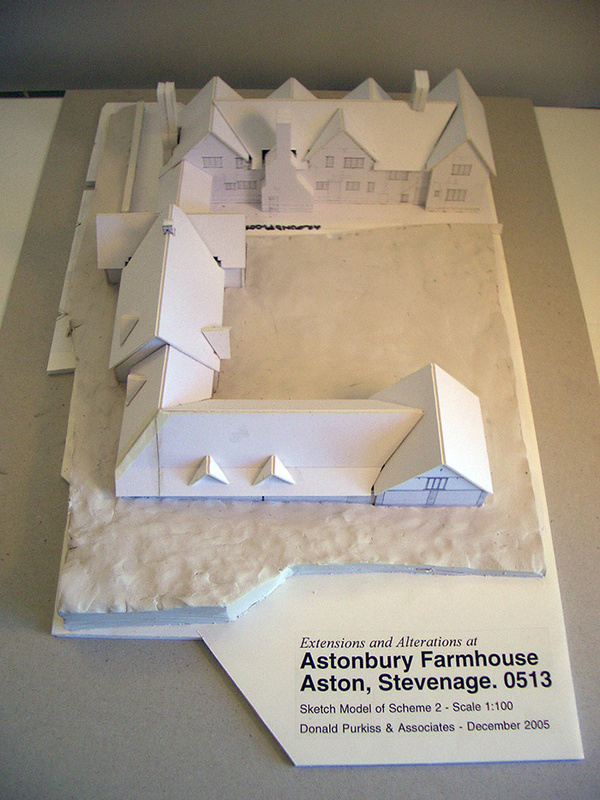 Further details concerning permitted development rights and planning and listed building application requirements can be found on the Planning Portal at www.planningportal.gov.uk. At all stages of the design process we work with clients to ensure that the requirements of the brief are being fully realised in the proposals. In addition to existing and proposed drawings, and depending on the type of project, it may also be necessary to submit other supporting documents such as structural reports, ecology reports, contamination reports, heritage statements and design and access statements. We may also prepare 3D computer models in order to clearly show particular design proposals which often helps to provide a better understanding of schemes for clients and planners, especially when the model is used to show a building in context. 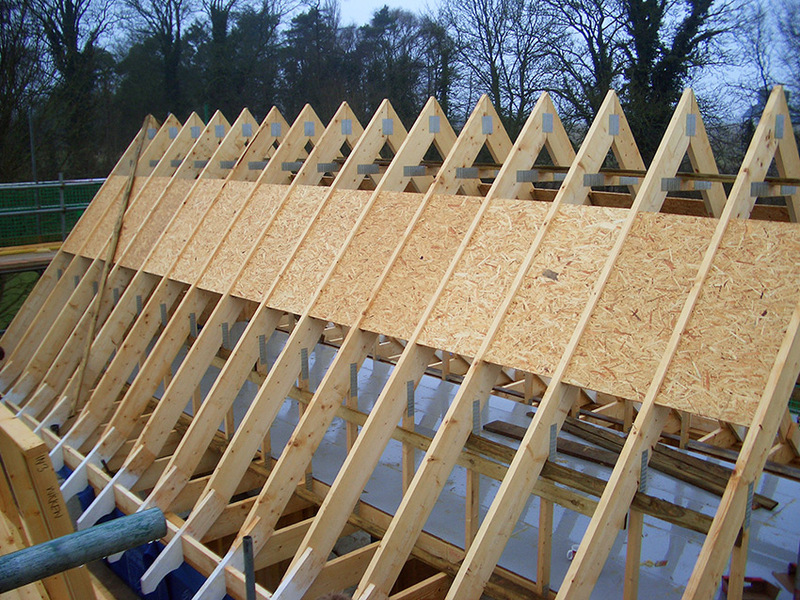 The building regulations set out specific requirements that all buildings must meet. The drawings produced at this stage are usually at a larger scale than planning drawings in order to contain an increased amount of information. Generally the drawings will set out specific dimensions, the type of construction (timber, steel, masonry, concrete etc…), how the structure works, foundations, drainage, how the thermal requirements will be met (insulation), glazing areas, cladding, general materials, heating and plumbing principles, means of escape, sound insulation and ventilation. In most circumstances it will be necessary for the client to engage the services of a structural engineer during this process. Essentially these drawings give an overview of the project and for some simple extensions these drawings will be sufficient for competent builders to work from without any further information from us. Building regulation applications are usually submitted to the relevant local authority and are accompanied by a plan fee. The inspection fee to the local authority becomes payable when works start on site. Whilst drawings produced for building regulation approval contain a large amount of information, for most projects it is necessary to provide a greater level of detail in the form of large scale construction drawings and a written specification. Construction drawings can show specific junctions between building elements or materials as well as joinery details, stairs, balustrading, pieces of built in furniture, sanitary ware layouts, tiling and floor finish layouts, chimney or stove details, lighting and electrical layouts and the physical integration of building services. These drawings are vital to the successful execution of a project as well considered and resolved materials and junctions are what provide added value to a scheme. A written specification brings all of the drawing information together in written form and adds a further layer of detail, outlining specific finishes, paint colours, sanitary ware requirements, taps, chosen floor and wall tiles, light fittings, windows and doors, plumbing and heating performance requirements, ironmongery and any specialist items. 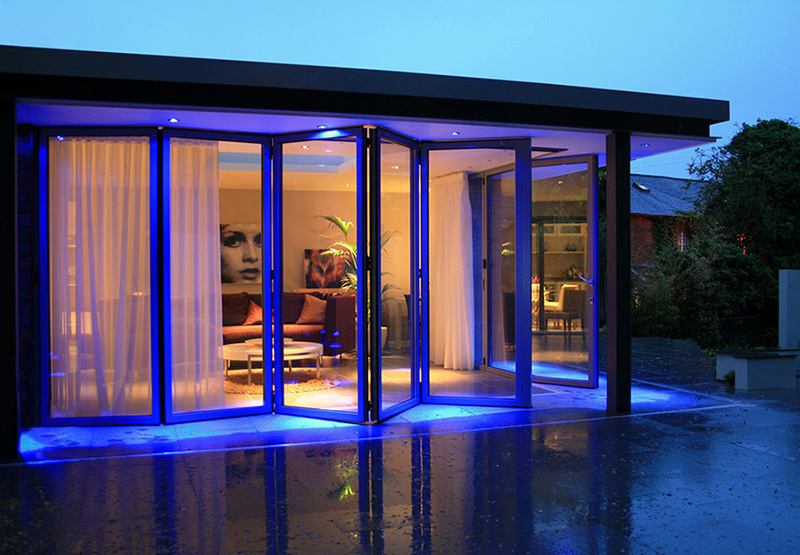 The written specification is quite a lengthy document as in addition to the works themselves it also sets out the parameters and requirements of the builders as well as industry standards concerning materials. These sections are known as the ‘preliminaries’ and together with the clauses describing the work and all the drawings they provide a comprehensive set of documents to allow contractors to provide a price for a project during the tender process. In order to obtain a competitive price for a project a tender process involving four or five contractors is usually the best route to follow. Using all of the drawings and the written specification, contractors will submit a tender figure together with details about start dates and contract durations. In most circumstances, the lowest tenderers will be asked to submit detailed breakdowns to allow checks to be made before proceeding. It is also possible to prepare reduction schedules in cases where tender results slightly exceed budget requirements. For expediency, or where established relationships exist, some clients prefer to pursue a negotiated tender process whereby they provide all the documents to a single contractor which often provides the benefit of assured work to the contractor and a guaranteed start date to the client. 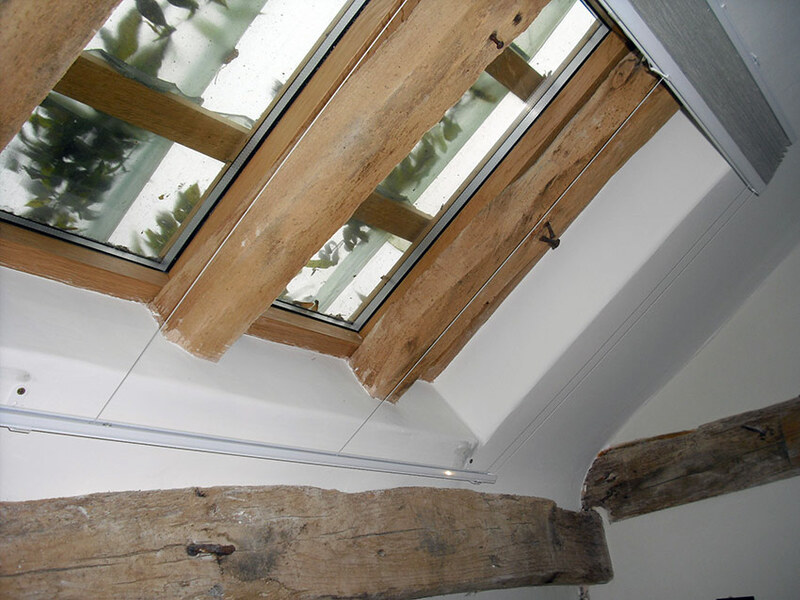 We follow a traditional approach to building procurement and where possible we like to remain involved with a project through to completion on site. When remaining involved our preference is to do so as contract administrators for a JCT building contract between client and contractor. This is a proactive role which involves running monthly site meeting, issuing instructions, assessing contractor payment claims (valuations), issuing interim payment certificates (which ensure the monthly contractor valuations reflect the work carried out on site), guiding the client through the decision making process, anticipating contractor requirements in advance and generally ensuring that the building is delivered in accordance with the drawings and the specification. However, we can also remain involved in a consultative role. This is a reactive role meaning that we only become involved as and when requested by the client or contractor. This can suit certain projects but clients must bear in mind that when engaged on this basis we are often unaware of decisions made earlier in a build when called out to look at a particular issue and may also not be able to respond as quickly to requests as our involvement is often much more sporadic under these circumstances. It is impossible to give any firm timescales for a project as each one is different as well as our office workload varying from month to month. However, it is possible to give some parameters which may be useful for planning a project. Lead-in times for a project following acceptance of a fee quote may typically vary between a couple of weeks to two months. The design process can vary considerably but is not usually less than a month and planning and listed building applications take eight weeks to determine once an application has been submitted and validated. To produce building regulation drawings, submit an application and obtain approval typically takes around four to five weeks although larger projects (such as new houses or large extensions) can extend this period. Production of construction drawings and specifications vary greatly depending on the size and complexity of a project but do not usually take less than four weeks to complete allowing for review meetings with clients and obtaining client decisions on fixtures and fitings. The tender process usually runs to five weeks and at least a month should be allowed for contractor lead-in times to a start date on site after that. *Please note that these timescales are approximate and are for guidance only to give an idea of the time involved in architectural projects. This guidance relates primarily to residential extensions and one off houses.